A Power of Attorney is an instrument that is used to give authority to someone else to legally act on behalf of the principal. A power of attorney is an authority given by a formal instrument whereby one person, who is called the donor or principal, authorizes another person, who is called the donee, attorney or agent, to act on his behalf. A Special Power of Attorney or SPA is used for giving a specific right to the attorney or for authorizing him to do a specific act such as to sell property, for appearing before the Sub Registrar for registration of a deed or document, appearance before the Courts, Government agencies or departments, Registrar of Companies for the Incorporation of a Company, for purchasing property etc. However, if the SPA has been attested by the Indian Consulate/ High Commission, Appostile or Notary Public of a foreign country, it will be valid for the registration purposes only after Adjudication / Stamping / Franking / payment of Stamp Duty on the Power of Attorney in the Delhi. 1. Special Power of Attorney in favour of blood relatives like father, mother, son, daughter, husband, wife, brother, sister etc can be registered in the Sub Registrar Office in Delhi. 2. The grantor, and two witnesses alongwith their identification documents need to be present before the Sub - Registrar during the presentation of documents. 3. The POA can be registered in respect of a property situated in another State / outside Delhi in the Delhi's Sub Registrar Office in some limited cases. We provide services for the the Drafting and Registration of Special Power of Attorney (SPA) in Delhi. To get your Power of Attorney registered , you may contact us at 8800418408. 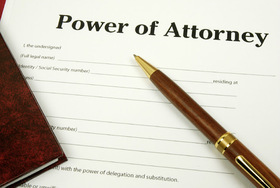 Need assistance in Registration of Special Power of Attorney for Property outside Delhi? Leave your details here and we will get back to you. Disclaimer: The information contained in this website is provided for informational purposes only, and should not be construed as legal advice on any subject matter. The use of this web site, and the sending or receipt of information does not create an attorney-client relationship. By using this website you agree that there has been no advertisement, solicitation, invitation or inducement of any sort whatsoever from us to solicit any work through this website. We provide services in entire Delhi.